PUBG (PlayerUnknown’s Battlegrounds) has become one of the most popular war games in India. PUBG, recently, has been going through a major revamp. The games in recent times have seen additions of some new features. In addition to that, PUBG has also improved the overall user interface of the game. Some new reports now claim that the battle royale game will soon get upgraded with the Vikendi snow map. It is important to note that this isn’t yet official information. A YouTube user who goes by the name Allthenewsisgoodnews has revealed the coming of Vikendi snow map to PUBG. The YouTuber has digitally created the Vikendi snow map and how it will work. Reportedly, the Vikendi snow map has already been uploaded on the PUBG servers, which otherwise mean that Tencent Games will very soon be available for the users. The recreated Vikendi snow map by the YouTuber shows that PUBG will now “consist of a giant cosmodrome with a rocket, command centre, satellites, and towers.” In other news, Sony very recently kicked off pre-orders for PUGB in the PS Store, and the listing consisted of a Vikendi event pass, which was said to go official sometime around in 2019 for all the users. The new leak now suggests that the Tencent Games might make the map go official for the public alongside the PUBG PS4 on December 7. 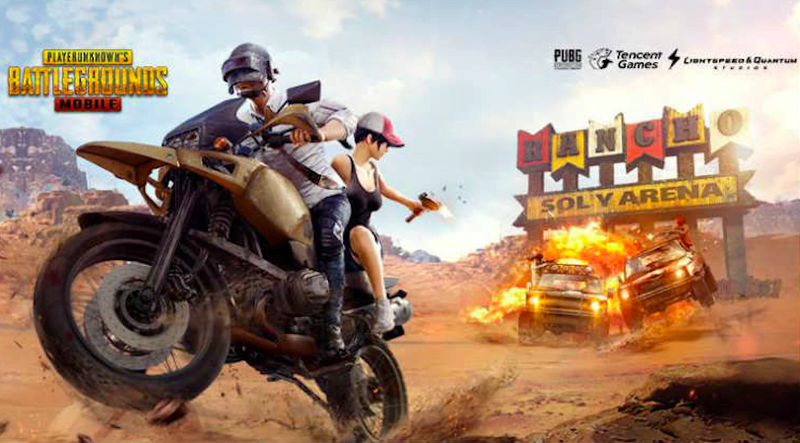 To recall, Tencent Games recently released PUBG Mobile 0.9.5 update for both iOS as well as Android users. Together with the PUBG Mobile 0.9.5 update, the company has also released the Season 4 of the game and also brought about new additional features in order to deliver an enhanced user experience. Additionally, the PUBG Mobile 0.9.5 also added several other features like — a new game mode, vehicle, weapon, rare outfits, hairstyles and much more. Sony has recently announced that the battle royale game, PlayerUnknown’s Battlegrounds (PUBG) will be made available on PlayStation 4 starting December 7. To recap, the PUBG game is currently available on PC, Xbox One, iOS, and Android. In India, PUBG Mobile has created a sensation and has changed the gaming market with its friendly and easy gameplay. In China, several companies launched gaming smartphones because of the market, but with PUBG Mobile, gaming market in India has grown rapidly. Asus has launched the ROG Phone in India earlier today and Nubia is all set to launch its Red Magic gaming smartphone in the sub-continent as well. If the market continues to grow, Xiaomi might bring its BlackShark gaming phone to India as well.